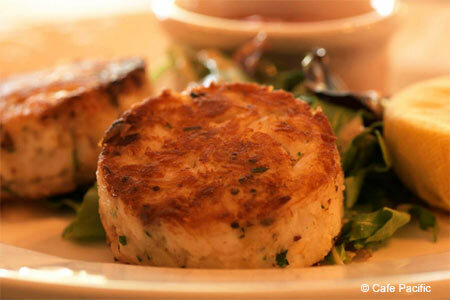 An elegant, upscale seafood haven where the meats are noteworthy as well. : This elegantly decorated seafood haven is a favorite haunt of those living in the well-to-do Highland Park neighborhood. At lunch, exhausted from shopping, bejeweled ladies lunch with their men folk and everyone seems to know each other as well as everyone on staff. The nicely chosen list of wines by the glass encourages customers to order one to sip while munching on the complimentary basket of crisply-fried shredded sweet potatoes. Start off with the tangy ceviche or design a fruits de mer platter with your choice of shellfish. The menu offers simply prepared fish and seafood dishes, almost always done well, exemplified by the cold smoked salmon and by halibut, which often is served with a papaya salsa. For those not in a fishy mood, there's meat on the menu, especially succulent lamb chops and filet mignon. The filet is particularly notable, served with a classic brandy-and-black-pepper sauce.